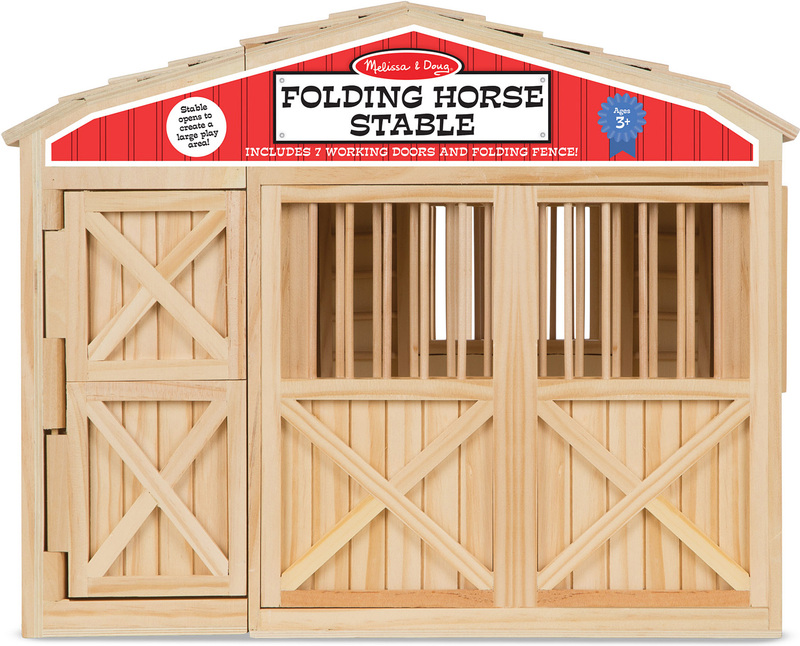 Our wooden stable is fully assembled and ready for "horseplay"! 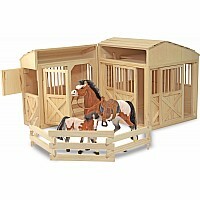 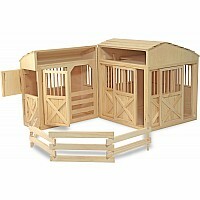 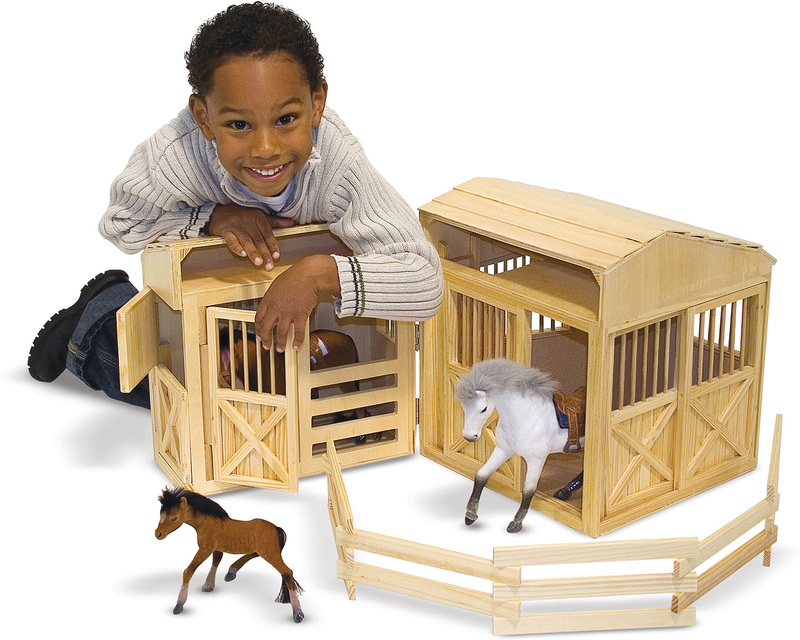 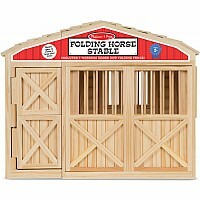 The set includes seven working doors, a hayloft, and a corral. 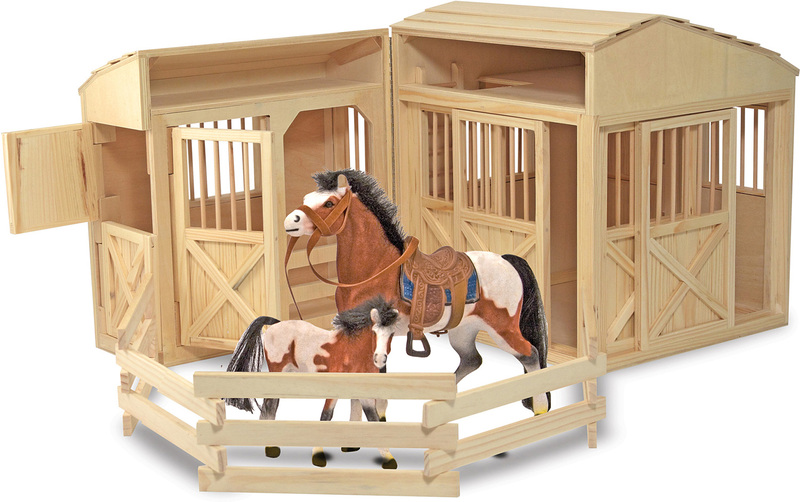 Enough stalls for three classic-sized horse figurines (sold separately). 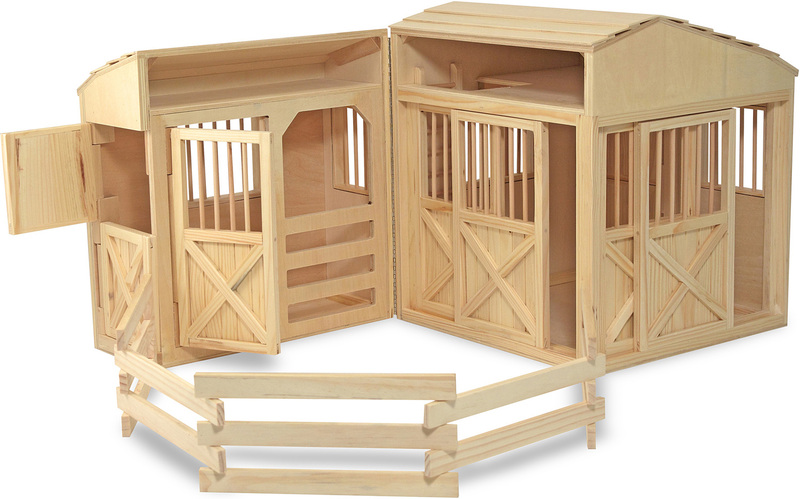 Opens for easy play access and closes for convenient storage. 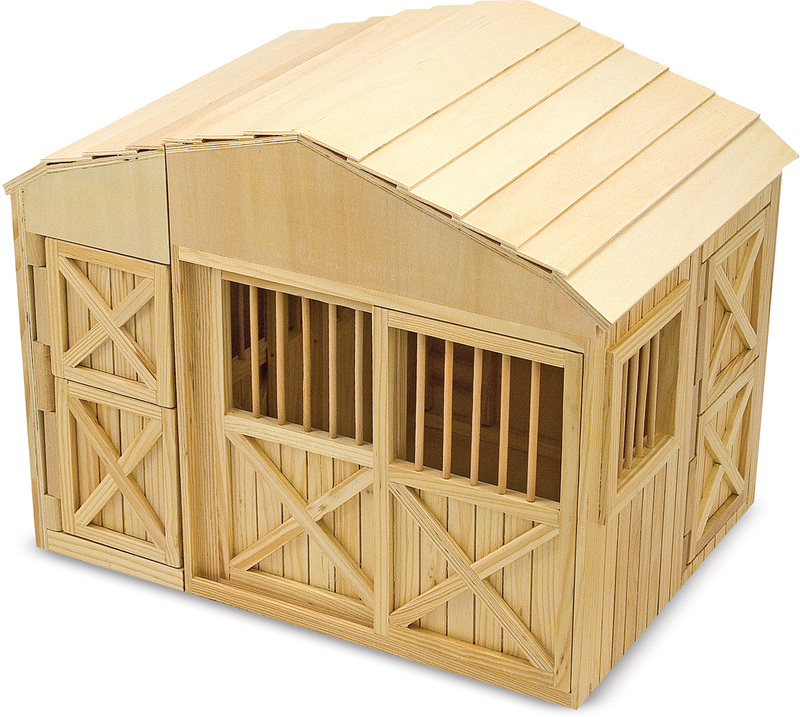 Measures approximately: 13.00 x 14.40 x 17.20 inches..